There is much confusion about fats and oils in our diet. I work at staying on top of the information, but even I have had to rethink a few points recently. Saturated fats have a bad public image. But this is because of excessive consumption. Remember when they told us to eat margarine instead of butter? It turns out butter is fine when used in moderation. DO YOU KNOW …The difference between margarine and butter? All margarine is made from assorted vegetable oils that have been heated to extremely high temperatures making the oils rancid. 1. Margarine is extracted from used plant oils with chemical solvents. This leaves residues and strips away nutrients. 3. Deodorants are added to cover the unpleasant smell of rancid vegetable oils. 4. Artificial coloring to cover up the grey color. And I still see these big tubs of this stuff in people’s homes . Butter has been used for thousands of years. It is a real food. The trouble is that it tastes sooo good we overeat it! 1. Rich in Vitamin A, has Vitamins E, K, D and Calcium. 2. Has anti-oxidants that protect against weakening arteries. 3. Saturated fats in butter have strong anti-tumor and anti-cancer properties. 4. Cholesterol found in butterfat is essential to children’s brain and nervous system development. Another form of butter is Clarified butter or ghee. It is butter oil, without the lactose and milk solids. It is made by gently heating butter until it becomes a clear golden liquid. Ghee has been used as the ultimate healthy cooking oil in India for thousands of years. 1. It increases the potency of certain herbs. 2. Has Vitamin A E, K and D.
3. Has a high ‘smoke point’ so it is a good oil to cook with. 4. Ghee does not spoil easily; does not need refrigeration. Then there is the wonderful Olive oil that many of us know and love in our salad dressings. It is made from crushing and pressing olives…for at least 5,000 years. …..
1. Contains- vitamins E, K, and A plus antioxidants. 2. Helps lower bad cholesterol and raising good cholesterol. 3. Reduces colon, breast and skin cancers. 4. Lowers the incidence of gallstones. Remember to store oil in a tightly sealed jar in the refrigerator, and do not heat as it has a low smoke point…add olive oil to foods immediately after cooking. One of my favorites is Sesame Seed Oil as it has a high ‘smoke point’ making it good oil to cook with. Sesame oil has vitamins A, B and E and the minerals iron, calcium, magnesium, copper. 1. Be useful in unblocking arteries. 2. Inhibit the growth of skin cancer. 3. Maintain good cholesterol (HDL) and lower bad cholesterol (LDL). For decades it was considered bad because it is saturated oil which is said to raise blood cholesterol and cause heart disease. 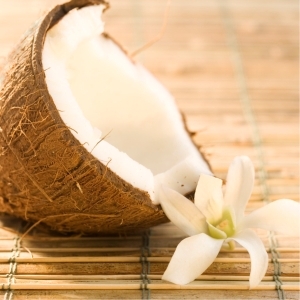 This idea was based on a study done 40 years ago that used hydrogenated coconut oil. In tropical climates like Polynesia, Sri Lanka and the Yucatan where they have a diet high in coconut oil, the people are healthier, have less heart disease, cancer and colon problems than unsaturated fat eaters. It is now accepted that there is good cholesterol and there are good saturated fats. Unsaturated oils in cooked foods become rancid within a few hours, even in the refrigerator. Once fresh unsaturated fats are inside the body, they oxidize (turn rancid). Coconut oil does not go rancid even after one year at room temperature. Most of the saturated fat in coconut oil is easy to digest and converted into quick energy so people are less likely to become obese as the fat is not stored. To quote Dr. Mary Enig: “The research over four decades concerning coconut oil in the diet and heart disease is quite clear: coconut oil has been shown to be beneficial.” Coconut oil has been used as cooking oil for thousands of years. Use extra virgin olive oil, cold pressed for salad dressings. For cooking use clarified butter, sesame oil and virgin, cold pressed organic coconut oil. 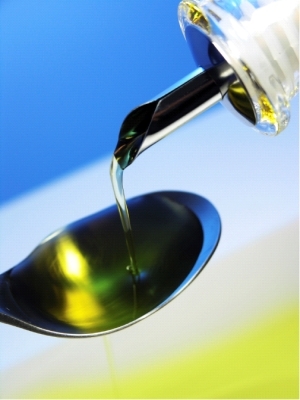 No matter how good the oil sounds…it is still a fat, with 120 calories per tablespoon. Anyone who regularly consumes a high fat diet will become overweight and that is just not healthy! Check out one of our online healthy cooking classes that teach you how to make incredibly healthy meals. Copyright © Diana Herrington You are welcome to share this article with anyone who you think may benefit from this information as long as you give credit to Real Food for Life by including the link to the home page www.RealFoodforLife.com or the direct link to this post. I apologize, I sent a reply but apparently it did not process somehow. Hence the comment above, here it is again. First, great info, as always your site delivers!! The only comment I had dissagreed with #4 under Benefits of Clarified Butter or Ghee. I keep clarified butter in a plastic container with the lid on in my kitchen cupboard. In the summertime within a week there is mold all over it. In the wintertime there is a scent about it but no mold. Obviously the temperature of the house and season makes a difference. So if clarified butter does not spoil easily and does need refridgeration then where am I going wrong; should I change the container, or simply remove the lid?? Please let me know, thank you kindly. Thanks for the encouraging comment. We feel strongly about the value of info on this site. Patricia, If Ghee is made correctly then it will last without being refridgerated. What happens when we first make it is that we often leave some milk solids in it and that will make it spoil. Extremely interesting blog post thanks for sharing I have added your site to my favorites and will check back 🙂 By the way this is off subject but I really like your web page layout. I am happy to hear that you like this post and added to your favs.